A Church Record is a detailed inventory of the furnishings of a church. The work is done in sections – memorials, metalwork, stonework, woodwork, textiles, paintings etc, library, windows and miscellaneous – so that everything is described. Recorders work in pairs using a set formula for describing each item. Photographs are also taken of each recorded item. A Record takes on average three years as recorders usually meet once a fortnight and there is often research to be carried out at Record Offices, libraries and museums. Training is given to new Recorders. 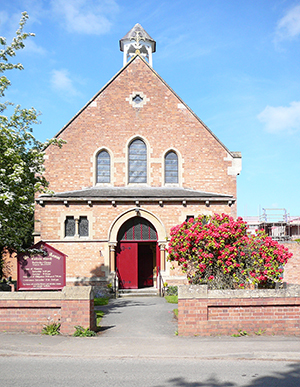 The work of Church Recorders has a high reputation among outside bodies and copies of the finished Record go to the church, the Diocesan Record Office, the ChurchCare Library, the V&A Art Library and Historic England. They are used by researchers and, unfortunately (but luckily) sometimes by the police or insurance companies if an item is damaged or stolen – often with successful results. In previous years, the Church Recorders from The Arts Society Royal Leamington Spa have recorded St Barbara, Earlsdon (1996-2000), St Mary the Virgin, Stoneleigh (2001-2004), St James the Great, Old Milverton (2004-2006), St Nicholas, Kenilworth (2006-2010), All Saints, Leek Wootton (2010-2012), St Mary Magdalene, Lillington (2013-2015), St Leonard, Charlecote (2015-2017) and St Francis of Assisi, Baddesley Clinton (2016-2019). 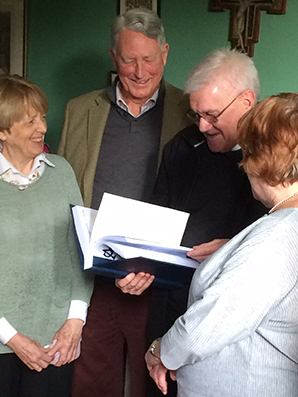 The bound copy of the Church Record for St Francis of Assisi was presented to Father John Sharp recently. Unusually this was not at a dedication service but at a lunch in the Presbytery. Father John kindly invited all the recorders as well as Shaun Pitt, The Arts Society, Royal Leamington Spa chairman and Ann Flower, the heritage volunteers organiser. This was a joyful occasion with a delicious lunch cooked by parishioners. Father John said he was overwhelmed by the amount of detail in the Record and felt recorders could all gain PhDs on their subjects! The work is interesting and sometimes challenging. If you enjoy working with others, constantly learning, making unexpected discoveries and producing a worthwhile and lasting piece of work, do join us.